The phenomenon of the roulette wheel involves a combination of engineering and logic, and has been of interest to gamblers for many years. The unsystematic nature of the game comes from the way in which the numbers are arranged as well as its characteristics. The roulette wheel is in the form of a huge bowl with walls that form different compartments; these walls are big enough to hold the ball once it drops into the compartment, called a pocket. Roulette pockets are red or black, with a zero-pocket that is green. Some wheels, known as American wheels, also have a green double-zero pocket. Number arrangements may be one of the main factors of randomness in Las Vegas, but when playing online, things are different. 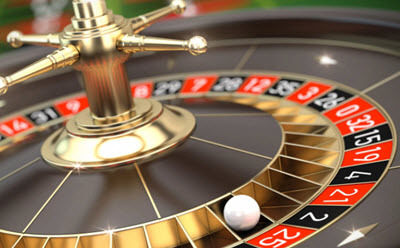 Each form of online roulette has a piece of software called a random number generator (RNG) determines where the ball will drop in an online roulette wheel. This RNG is similar to the one found in slot machines both online and in regular casino. Masses of random numbers are produced each second, and one is selected when the wheel is spun, directing the virtual wheel to a final result. This ensures randomness, and appropriate odds, two elements that are essential for the game of roulette.